Jamestown Properties is working to secure $145 million to refinance a Tribeca apartment building developed with tax-exempt funds as a way to revitalize Lower Manhattan in the wake of the 9/11 terror attacks. In exchange for the bond-backed funding, the Midtown-based landlord is agreeing to extend the affordable-housing component at 88 Leonard Street for another eight years, an application with the state department of Homes and Community Renewal shows. A representative for the company did not respond to requests for comment. 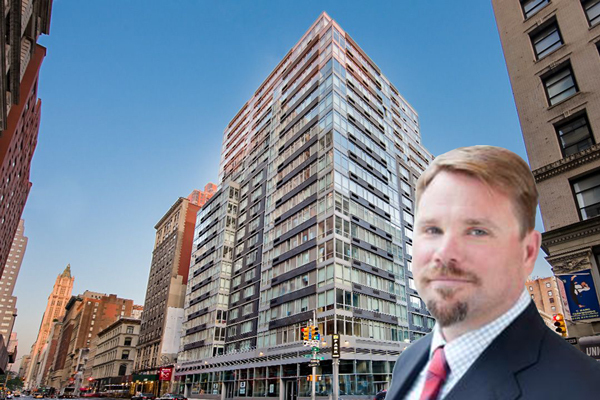 Jamestown , which owns the Chelsea Market and has a stake in Industry City, bought the 21-story, 352-unit building at the corner of Leonard Street and Broadway in September for $242 million from a subsidiary of Chicago-based Waterton Associates. The original developer, a partnership between real estate investment firm Africa Israel USA and Shaya Boymelgreen, had constructed the building with financing through the Liberty Bond Program, which provided tax-exempt funds to construct commercial or residential space below Canal Street as part of the recovery effort following 9/11. In exchange, the developer set aside 18 units, five percent of the project, as affordable housing. The building also gets a 20-year reduction in real estate taxes equal to the 421a program under an agreement with the Battery Park City Authority. Jamestown is looking to refinance the $132 million in debt on the property with $145 million in proceeds from a bond sale to Capital One Municipal Funding. The bonds will mature Nov. 1, 2037, according to documents. Jamestown wants to use the additional debt to pull a portion of equity out of the building and make renovations, such as converting a portion of the basement into amenity space and creating a small retail portion on the ground floor. The building is 94 percent occupied. The state’s Housing Finance Agency is scheduled to hear the application at its June 15 meeting.